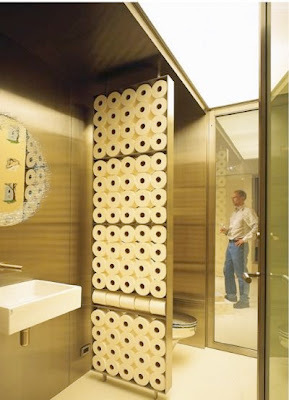 Just look at how proud the man in the background is that he will never run out of toilet paper. Wine? Check. Hand on hip? Check. But what happens when all of THAT runs out? I'd like to get them in different colors and make a giant Tetris board.